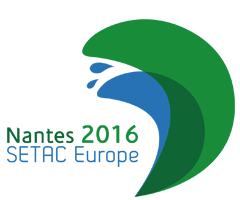 The Annual SETAC Europe conference held in Nantes (France) on 22-26 May 2016 offered a good opportunity for the Initiative to interact with a significant proportion of the LCA community during 5.5 packed days of events. The global presence, importance and influence of the UNEP/SETAC Life Cycle Initiative and other UNEP-related projects such as the Global LCA Data Access network (GLAD) are increasingly evident. As usual in SETAC Conferences, the Initiative’s work around LCI Data and LCIA impact indicators received special attention in several sessions and side events. The UNEP / SETAC Life Cycle Initiative was highly visible in data and database topical sessions at the recent SETAC Europe in Nantes and organized a one-day workshop after the meeting. Much is happening to mainstream life cycle approaches these days. Given the criticality of well-characterized, accurate, and relevant data that are readily exchangeable across the globe, this session aimed to present the range of on-going research, development, and applications to support practitioners and decision-makers. The session included presentations on forums and working activities around making data sharable in the international and national arenas from a guidance and standardization perspective. Also included were recent developments in data publication, data review procedures and criteria, nomenclature and flow naming conventions, and ensuring user awareness of data quality characteristics during dataset development and data selection. The latter is often referred to as the documentation of meta-data, and efforts towards agreeing on common frameworks on meta-data reporting were also discussed. Overall, within this area it is interesting to see how future developments in LCA data and databases are coming to life, including also the access to “non-LCA” data that help to inform sustainability assessments. It is also encouraging that the Community is embracing new information technologies to enhance LCA (for example, JSON-ld and RDF) when these concepts were just aspirational when the scenarios covered by the forward-looking work group at the Global Guidance Principles for LCA Databases Pellston Workshop® were first published in 2011. There will be an increasing pressure on the LCA community from the outside to publish data, but as could be seen during the session there is also pressure or a need from the inside to be able to publish data in efficient ways. Meanwhile LCA data management can also benefit by using the requirements as a motor and by benefitting from the capacity building of digitalization in general. Some of the IT-related presentations showed that developments in data science are being used when designing infrastructures which may be a prerequisite to meet requirements. Selected presentations from the session are accessible here: http://nantes.setac.eu/nantes/home/?contentid=1009&nv=853&pr_id=1009. As a follow up to a workshop held in September of last year, a one-day workshop with about 25 participants was held after the SETAC meeting. This workshop is part of the Data and Database flagship activity that aims at achieving global consensus on database assessment and dataset review criteria and processes. Gather feedback and facilitate discussion on the revised LCI database assessment and review criteria (including good management practices) and application procedures – definition, use, sufficiency, applicability and utility. Gather feedback and facilitate discussion on the revised LCI unit and aggregated process datasets (and flows) review criteria and application procedures — definition, use, sufficiency, applicability and utility. The final objective is to reach consensus on review process and criteria for all kind of databases, adaptable to different review procedures depending on the DB characteristics (size, reproducibility of datasets). In addition to facilitating discussion around the revised review criteria, several participatory exercises were conducted to engage workshop participants in the criteria creation process. After the workshop, the criteria will be updated according to discussions. These contributions will be incorporated into revised criteria to be road-tested against three databases: Thailand, Chile and Australia, in the second half of 2016. The conformance part is planned to be self-assessed by the database managers, or by experienced DB managers if they are willing. The review part can be self-assessed in some cases, or assessed by third parties in others. After the road-testing, the plan is to develop a “final” set of criteria and a set of procedural guidelines and to submit these for peer review, first by the Life Cycle Initiative Technical Review Committee and then as incorporated in a manuscript for journal publication. The idea is that this would then build toward an LCA Community consensus on adoption for future use on existing and especially new databases. It also ties in well with the activity of the GLAD Network. The UNEP SETAC Life Cycle Initiative flagship project “Global Guidance for Life Cycle Impact Assessment Indicators and Methods” started in 2013 (Jolliet et al, 2014). Specific efforts started in Phase 1 should be pursued for several impact categories, further testing and complementing the Valencia recommendations, keeping some task forces active to reach these goals. It is desirable to install a structure providing stewardship for both recommended characterisation factors as well as for enabling their regular update in the future. This suggestion was discussed and well-received during the stakeholder consultation in Nantes. In term of new topics, the stakeholder consultation participants agreed to pursue the three initially suggested impact categories (a) acidification, eutrophication and ecotoxicity, starting with terrestrial acidification, freshwater eutrophication and ecotoxicity, b) human toxicity (incl. indoor) and c) energy resources), but to broaden the energy resources category to natural resources (addressing the instrumental values associated with natural resources, focusing on primary mineral resources). They also agreed that it is of interest to also address the damage subcategory “ecosystem services” for LCIA, in particular for soil quality related impacts. Building on these inputs, the flagship project is working on an implementation plan for these recommendations, launching three new topical Task Forces, while keeping the cross cutting issues, water use impact, and land use impact Task Forces active, as a first step towards establishing a continuous recommending panel for recommendation and update of characterisation factors.